Burberry Apologizes for Hoodie With Nooselike TieA model who walked in the show had tried to call it out before the show. This Is What a Burberry Rave Looks LikeNaturally, it involved tartan. The New Burberry Now Has an Ad CampaignOut with the old and in with the new. Vivienne Westwood Brings Back Punk at BurberryHer collab has dropped. Burberry Gets ProfessionalRiccardo Tisci’s first show for the British mega-brand was sober and adult. Does This Look Like a Chastity Belt to Anyone Else?What is this contraption at Burberry? Burberry Transformed Its Flagship Store in LondonRiccardo Tisci was in charge of the changes. Burberry Will No Longer Burn Unsold Products or Use FurThey’re the latest luxury brand to decide that fur is no longer modern. See Burberry’s New Logo Under Riccardo TisciSerifs and lowercase letters are so last season. Burberry and Opening Ceremony Collab Is All RainbowsThe collection, which features items in their coveted “rainbow vintage check” pattern, launches today. Adwoa Aboah and Her Dad Celebrate Father’s Day With BurberryThe model just finished art directing a three-part series for the brand. We May Finally Know Which Designer Meghan Markle’s Mom Is Wearing to the WeddingShe was photographed on her way to the airport. Burberry Took a Trip to Ghana With Model Adwoa AboahIt’s part three of a portfolio by photographer Juergen Teller. This Tote Bag Is a Piece of HistoryIt’s from Christopher Bailey’s final collection for Burberry. Scenes From Christopher Bailey’s Final Burberry ShowIt was emotional and celeb-packed. Burberry Celebrated Individuality With 84 Beauty LooksWendy Rowe created no-makeup makeup for both the guys and girls. 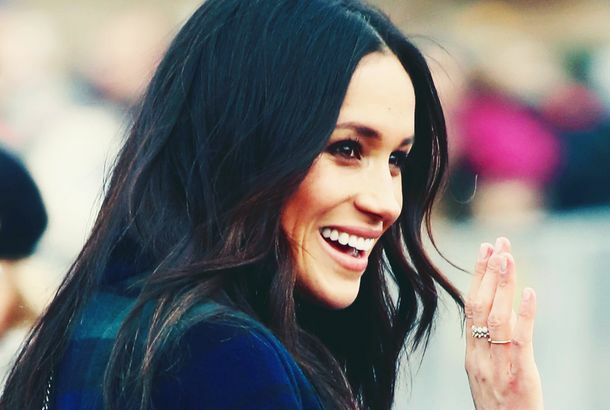 Here’s What Meghan Markle Wore During Her Official Visit to ScotlandShe wore a Burberry tartan coat. 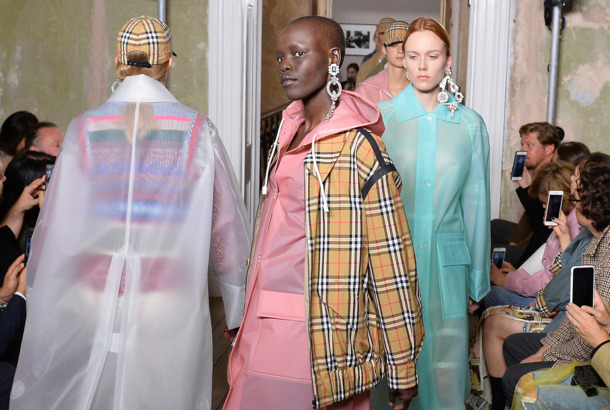 Christopher Bailey Is Dedicating His Last Show to LGBTQ+ YouthThe Burberry plaid has gotten an upgrade. British Photography Comes to ParisBurberry’s traveling exhibition opened today during the couture shows. Here’s a Chic Way to DoodleFor Burberry fans, a new artist collab. Burberry’s President and Designer Is Leaving in 2018Bye-bye, Bailey. This Pink Faux-Fur Jacket Will Instantly Lift Your MoodIt’s a modern take on the classic mink coat. Burberry’s Makeup Look Will Take You Less Than 5 MinutesIt’s meant to celebrate your natural skin-tone variations. Burberry Brings Back Its Iconic Check PrintThe show at London Fashion Week had a catchy ’80s soundtrack. Gosha Rubchinskiy Reveals Upcoming Capsule Collection with BurberryIn Russia, Burberry wears you. 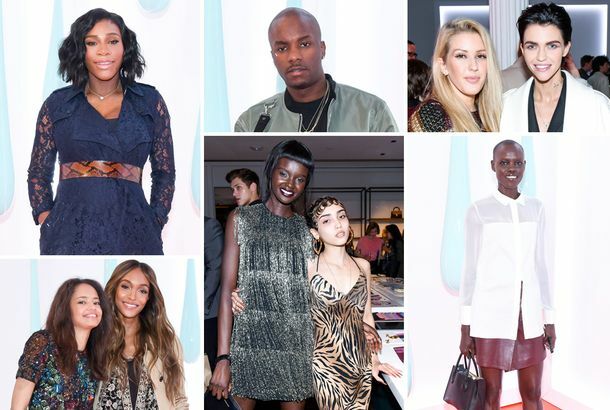 Serena Williams Partied With Burberry Last NightModels and celebrities celebrated the brand’s new DK88 bag collection. You Will Be Able to Buy Burberry’s Intricate, Over-the-Top Finale CapesBut it will cost you. Burberry’s Beauty Look Was All About Natural ContouringNot like Kylie. Burberry Will Forever Be a Champion for British DesignBritish sculptor Henry Moore inspired unisex looks and elaborate Victorian collars. Burberry’s February Collection Will Be Inspired by Sculptor Henry MooreIt’s to celebrate the 40th anniversary of the contemporary artist’s foundation. Jude Law’s Daughter Will Be Everywhere This YearThe 16-year-old model is a rising star. Sienna Miller on the Limits of PrettinessShe stars in Burberry’s ambitious new holiday campaign. Burberry’s Latest Campaign Video Is the Greatest Movie Never MadeWe’d give this film the green light. Report: Burberry and Coach Could Be MergingAccording to a report from a U.K. financial site. Burberry Wants You to Look Like a Living Statue with Damp HairBut not stone-cold. What Happened at Burberry’s Gender-Bending Fashion ShowPink ruffles and military coats inspired by Virginia Woolf’s Orlando.